Photo is courtesy of Armstrong.com. The photo is of an Armstrong Luxe Plank floor. From classic to timeless to modern, wood flooring offers unique beauty that compliments so many styles! Yet, solid wood flooring should not be used in higher moisture or traffic areas, such as bathrooms or kitchens. What can you do? 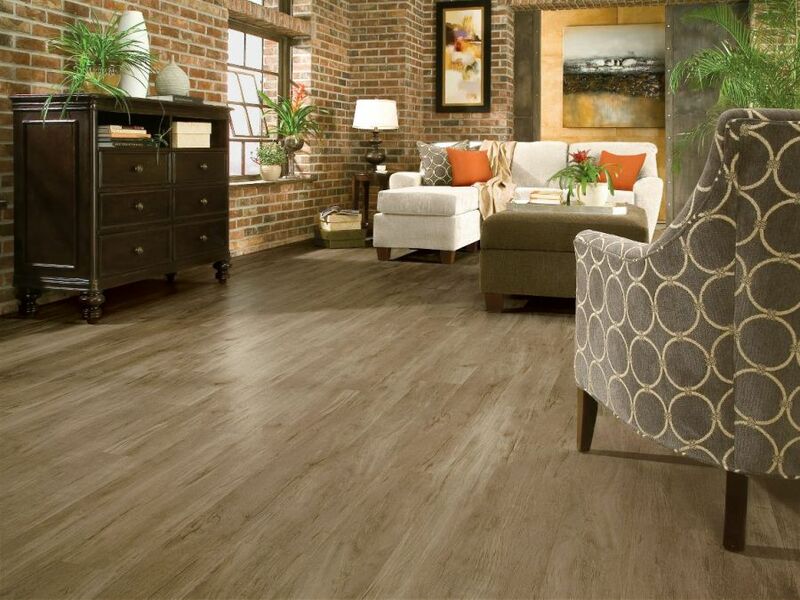 Vinyl â€œwoodâ€� planks are one option. Available in a wide variety of highly realistic wood-species finishes, resilient vinyl wood planks are typically the easiest to install, water resistant and very affordable. Laminate â€œwoodâ€� flooring consists of an extremely durable top layer that is actually a photograph of the wood species, on top of a wood composite core. Easy to maintain and install, laminate wood floors are great in high traffic areas, too. Engineered wood flooring consists of an extremely hard finish over a typically 1/8â€³-thick hardwood top layer atop a plywood base. It can be glued, nailed or installed as a floating floor. Finally, tile â€œwoodâ€� planks are ceramic or porcelain tiles imprinted with various wood species. These tiles can also offer the uneven finish akin to todayâ€™s popular hand-scrapped wood floors! The photo you see here is of the Armstrong Luxe Plank Floor.